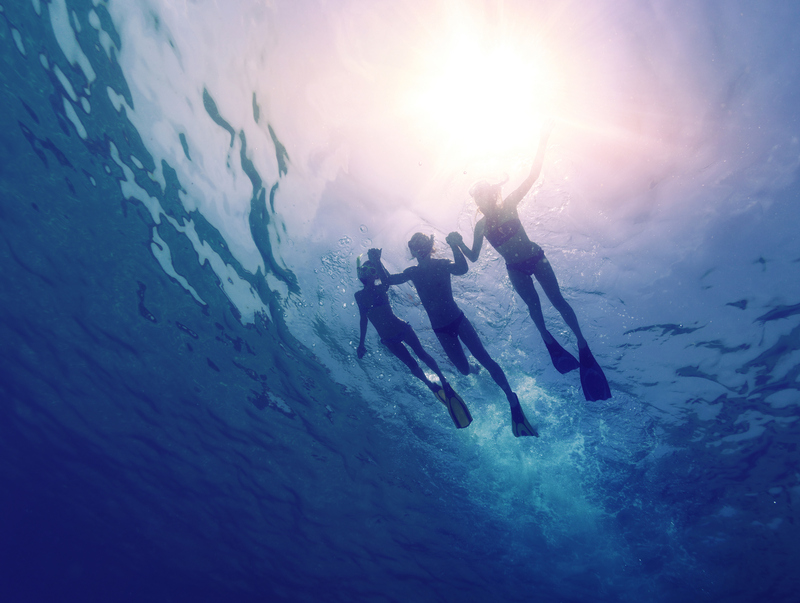 Snorkel the Virgin Islands, the perfect afternoon on the water for both kids and adults. Your trip stops at two of the best snorkel spots in the islands and you will snorkel St Thomas, St John or the Virgin Islands National Park. Our scuba professionals lead a guided tour of beautiful coral reef ensuring that you enjoy your time and watching our for your safety. We depart the dock at 1:15pm and travel to a snorkel spot off St John or the surrounding Cays. The Captain selects a location that will provide the best experience for our current weather conditions. You can expect to see a variety of colorful reef fish while snorkeling and you can rest assured that your tour guide will be on the lookout for turtles, Who doesn’t want to swim with turtles? Enjoy a refreshing fruit snack while we move on to our next stop at Christmas Cove or Little St James and then we are back in the water for another great snorkel. We return to the dock at American Yacht Harbor around 4:30pm. So bring your towel, sunscreen and join us for a relaxing afternoon at sea. Price includes: Captain, Snorkel Tour Leader, snorkel equipment, water and fruit. Not Included: gratuity for outstanding service from crew.